Most of the Eames dining tables designed by Charles and Ray came in the early years of the Eames Office, at a time of post war need for value driven quality furniture designs for the home. These formative years would see several extremely clever and versatile table designs which would have more to them than met the eye. Apart from the obvious design need of providing a table surface they would also be stylish and have easy storage as a feature. Once into the mid 1950’s and beyond the focus would move away from home-based dining table designs and towards those with more universal uses. These would have the additional versatility of being practical for the workplace as an addition. 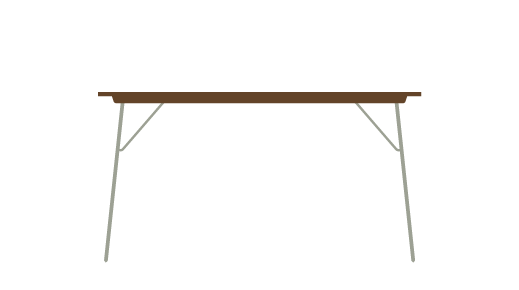 The early Eames dining table designs would be restricted through the materials at his disposal. His early collaborations with the Evans Molded Plywood Company would restrict the Eames Office to designs based on using the plywood forms that they had developed through the war years and earlier range of Children’s chairs, tables and stools. The plywood veneer layers were adept at providing fantastic table surfaces as well as the strength required for a significantly strong design. They were however quite traditional in the sense that they had the wooden finish, something that the Eames Office were keen to change with their progressive thinking and to differentiate their products from the myriad of tables available. They would be able to achieve this by offering top layers of table surfaces in colors other than that of the natural material, adding style and a whole new look to the Eames dining table designs. The post war design need was very much mass-produced quality at affordable prices. There was also a need to conserve space. Many of the new home builds in this period were very small and tables that were able to be stored away would have many advantages. The three early Eames dining tables would all have this very clever feature. 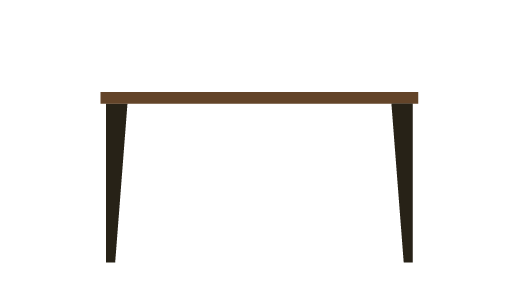 The DTW (Dining Table Wood) was the first to be released in 1946 with L-shaped wooden legs. 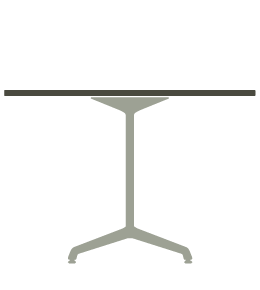 The legs were detachable to provide the possibility of storing the table away. It was available in either a rectangular or square shape and in natural wood or a black finish. 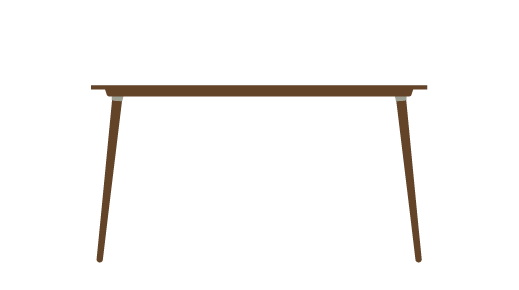 This early addition to the portfolio would be the start for a series of Eames Dining table designs to meet the needs. A further DTW with circular legs would also be released a couple of years after the L-shaped version. It would also effectively replace the L-shaped version, most likely due to the legs being much easier to remove. 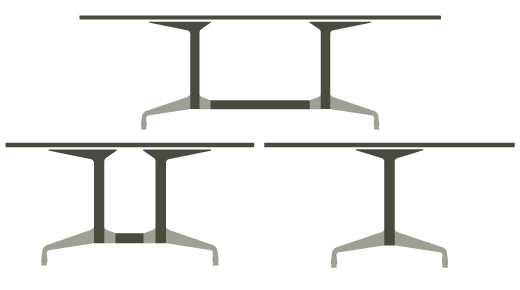 The DTM (Dining Table Metal) was released a short time after the L -shaped DTW. 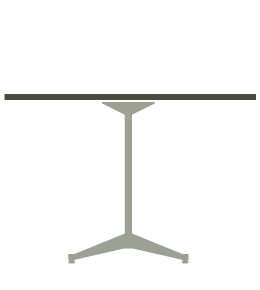 This table design topped the others with the most of intelligent designs regarding the legs. Clipped to the frame once standing, the legs simply push into the top underside in order to be completely hidden. There was no cumbersome action for the legs to be removed, merely simply pushing into the middle. The DTM was also available rectangular or square and available in natural ply or white or grey Micarta, a plastic-coated durable finish. 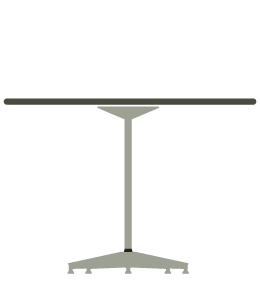 The model 650 table was the first of what would become normal practice for tables from the late 1950’s onwards. A cast Alu base with circular top created a really neat neutral appearance which was as good for the workplace as it was for the home. The Alu base had a spider foot and resembled that of the Eames Lounge Chair and Speaker. Sadly the Model 650 did not last as long in production as it should have, largely because it was superseded quickly with the popular contract base and universal base tables which matched perfectly the Alu Group range.